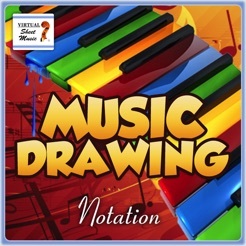 The Music Drawing Notation by Virtual Sheet Music has been specifically designed to write music by putting notes on a music staff, the easiest way. Any musician will be easily able to put down melodies "on the go." 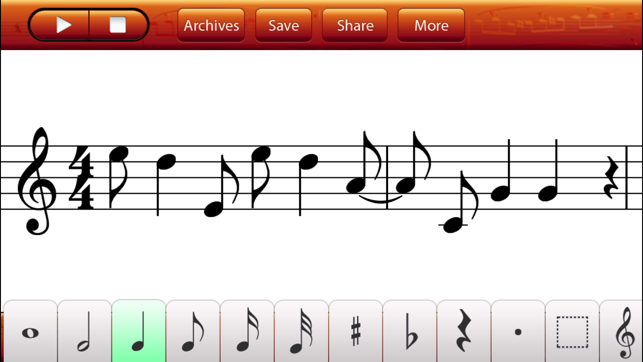 You can write music by simply using your finger to put notes on the music staff, move notes around, change the notes' pitches by just moving them up and down, and modify their duration by selecting the corresponding value button. 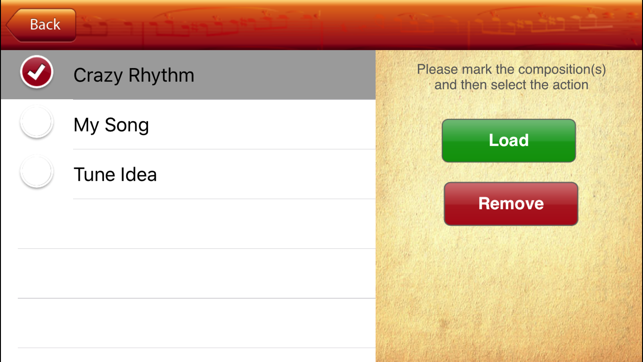 Rests may also be added, as well as sharps and flats. 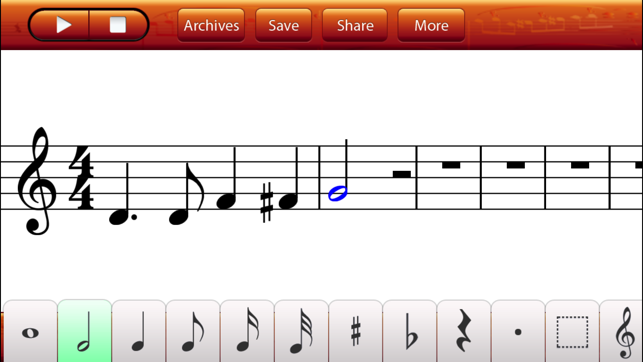 You can also write note chords by adding notes one over another. 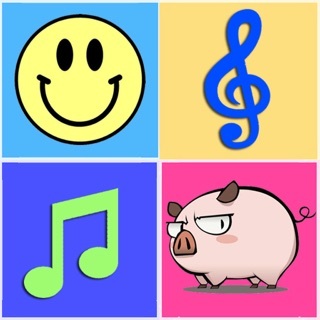 At any time, you can play, pause, and save the music you created into an archives section of the application, which allows you to retrieve previously saved songs. At any time, you can send or export your created music as a MIDI or Mp3 file via email. 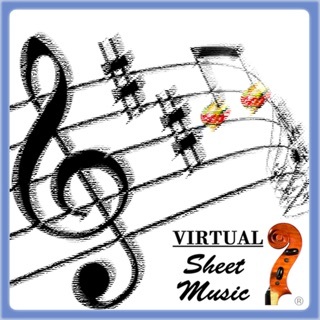 Virtual Sheet Music® offers the highest-quality digital sheet music with MIDI and Mp3 audio files to download and enjoy instantly. 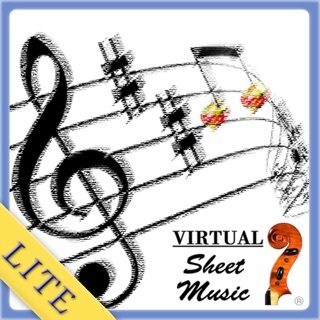 Many of the Virtual Sheet Music items also include Mp3 music accompaniment files, which allow you to play along with your computer, iPhone, or iPod (over 80,000 files). 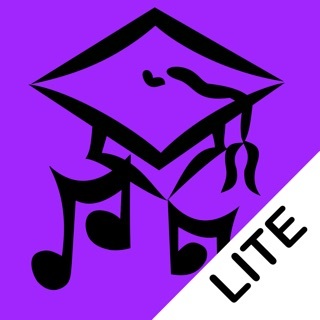 Enjoy learning, playing, and composing great music! 64-bit compatible, iOS 11 ready. I’m able to complete a few measures but the app suddenly closes without saving. So the tool (app) is worthless. 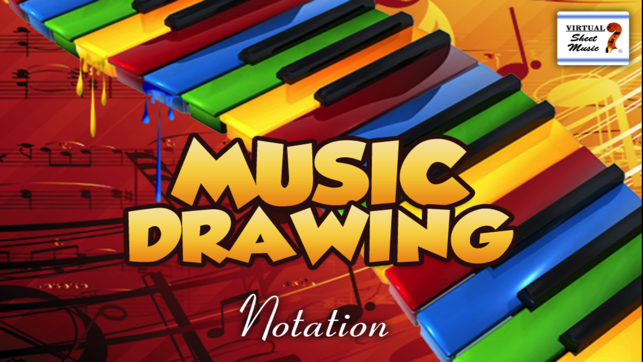 I'm certain many people who try this app will agree with me when I say that I'd rather carry around a notebook and and hand-draw staves than try to notate with this app. It's just unbelievable tedious to add notes, and it's nearly impossible to get them in the right place. Overall, it's not worth using. At least not yet. For people who want to tough it out but don't want to upgrade in order to be able to save files: I'm assuming taking screen shots (home button + power button at the same time) of your project will help somewhat. At least you won't completely lose your idea this way. Great app - must try! This app is working great for me. It i clear that in order to save your songs you have to buy an optional add-on, but you can definitively save songs. I love the ability to put down my music ideas on the go and send them over to my email as Mp3 files. Looking forward in having even more features! © 2017 Virtual Sheet Music Inc.